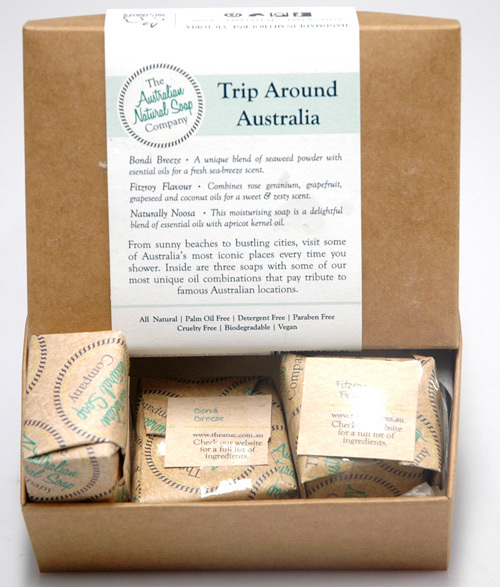 Australian Black Clay Soap -100g Australian black clay is fantastic at unclogging pores and simultaneously exfoliating dead skin cells. It contains iron and oxygen properties making it an amazing facial cleanser. It refreshes and removes toxins from the skin and is ideal for anyone with oily or combination skin. We have combined this non-toxic mineral with Frankincense essential oil, a powerful astringent, that can help protect skin cells, reduce blemishes caused by acne, minimize pores, and help lift and tighten the skin. Rosewood oil and castor oil are also used in The Australian Black Clay Facial Cleanser, helping to rejuvenate and deeply moisturize your skin. 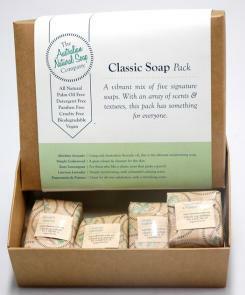 These all natural, handmade soaps have been carefully crafted to cleanse skin of impurities without the use of harsh ingredients like parabens and sulphates that are known to be drying and irritating on the skin. 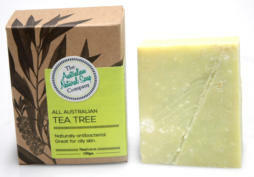 Used instead, are high-grade Australian plant oils that leave skin clean and moisturised thanks to the slow-set soap making methods that maintain the healing properties of the oils. These scented products are fragranced using pure essential oils, which means you can experience full aromatic bliss without the stress of skin irritating perfumes! These are certified cruelty free and palm oil is not used, making every one of these products vegan friendly! Each piece is cut by hand to 100g and sent to you using recycled and recyclable packaging. Activated Charcoal Solid Soap - 100g This is an unscented facial cleanser so it is suitable for all skin types, but it is well suited to skin that is sensitive and prone to irritation. Activated charcoal has high adsorptive powers, which means that it draws other elements and chemicals into itself. For gentle use as a cleanser it is recommended to lather the soap in your hands, then gently massage into the skin. When the bar is used directly on the face is acts as a gentle exfoliator. These all natural, handmade soaps have been carefully crafted to cleanse skin of impurities without the use of harsh ingredients like parabens and sulphates that are known to be drying and irritating on the skin. Used instead, are high-grade Australian plant oils that leave skin clean and moisturised thanks to the slow-set soap making methods that maintain the healing properties of the oils. These scented products are fragranced using pure essential oils, which means you can experience full aromatic bliss without the stress of skin irritating perfumes! These are certified cruelty free and palm oil is not used, making every one of these products vegan friendly! Each piece is cut by hand to 100g and sent to you using recycled and recyclable packaging. Solid Soap Salt Cleanser - 100g Anti-inflammatory, anti-bacterial and detoxifying. Use the power of magnesium salts to tackle acne and stressed-out skin. 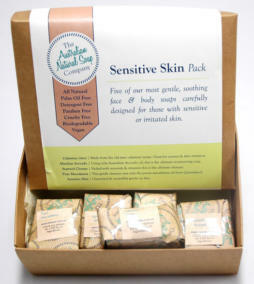 These all natural, handmade soaps have been carefully crafted to cleanse skin of impurities without the use of harsh ingredients like parabens and sulphates that are known to be drying and irritating on the skin. 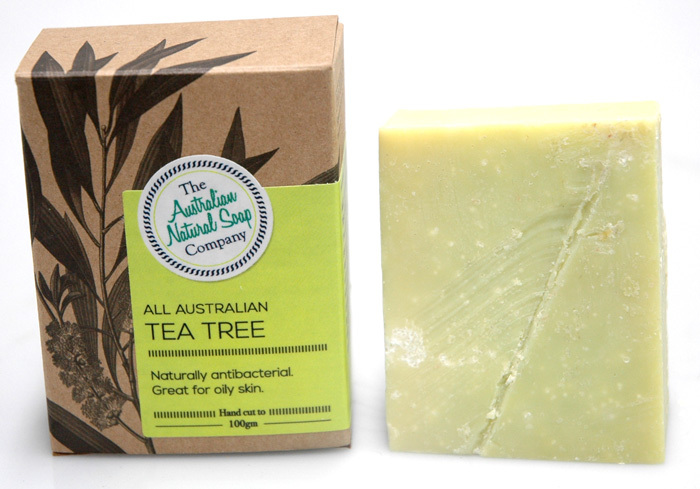 Used instead, are high-grade Australian plant oils that leave skin clean and moisturised thanks to the slow-set soap making methods that maintain the healing properties of the oils. These scented products are fragranced using pure essential oils, which means you can experience full aromatic bliss without the stress of skin irritating perfumes! These are certified cruelty free and palm oil is not used, making every one of these products vegan friendly! Each piece is cut by hand to 100g and sent to you using recycled and recyclable packaging. Calm the mind and stimulate the senses with the warm, rich aromas that fill this box of pure romance. - True love for her : Our unique women’s soap that has a rich, floral scent and is deeply moisturising. 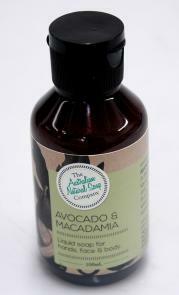 - Avocado & Macadamia : Helps to moisturise & replenish dry and ageing skin. - Gentle Geranium : A luscious blend of geranium & coconut that soothes & rejuvenates skin. True love for her soap : Our unique women’s soap that has a rich, floral scent and is deeply moisturising. True love for her perfume : All natural essential oil perfume. No palm oil, no parabens, no animal testing. A little box with a lot of love. 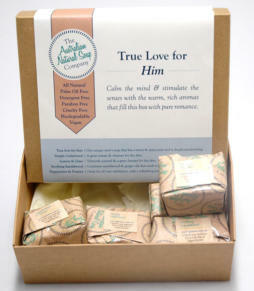 Experience the alluring scent of true love with our most romantic masculine soap and an all natural cologne to match. - True love for him soap : Our unique men’s soap that has a warm & spicy scent and is deeply moisturising. - True love for him cologne : All natural essential oil cologne. No palm oil, no parabens, no animal testing. Calm the mind & stimulate the senses with the warm, rich aromas that fill this box of pure romance. - True love for him : Our unique men’s soap that has a warm & spicy scent and is deeply moisturising. - Lemon & Lime : Vibrantly scented & a great detoxer for the skin. - Soothing Sandalwood : Combines sandalwood & ginger oils that work to soften and hydrate skin. This soap blends Australian natural tea tree oil with olive oil, which we source from Western Australia. It's a beautifully cleaning soap that is also naturally antibacterial. Tea tree oil has fantastic antibacterial properties and therefore it is a fantastic treatment for acne, especially on the body. These all natural, handmade soaps have been carefully crafted to cleanse skin of impurities without the use of harsh ingredients like parabens and sulphates that are known to be drying and irritating on the skin. Used instead, are high-grade Australian plant oils that leave skin clean and moisturised thanks to our slow-set soap making methods that maintain the healing properties of the oils. 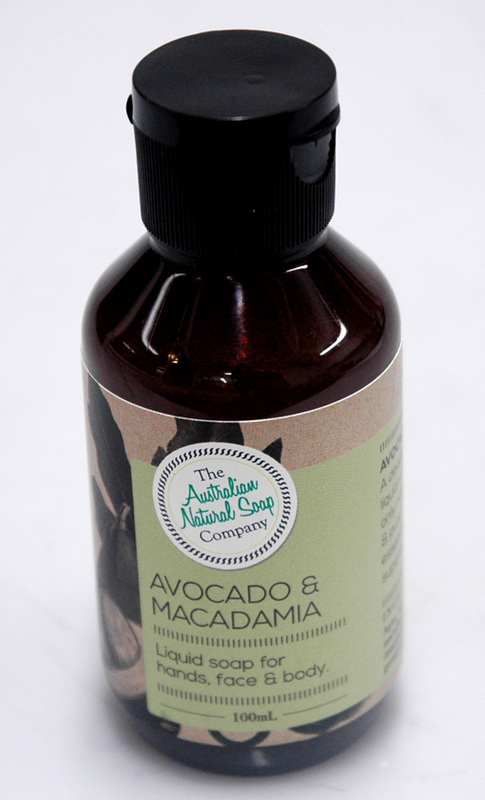 Using Australian avocado & macadamia oils, this is a deeply moisturising liquid soap. It has none of the nasty chemicals found in most body gels, instead we let it set for 8 weeks so that it retains the properties of the oils. We fragrance it with pure citrus & ylang ylang essential oils so it smells amazing. Ingredients: Aqua, saponified avocado oil, saponified macadamia oil, pure essential oils (mandarin, yang slang, sweet orange, geranium, tangerine & benzoin resin). This beautiful smelling liquid soap is naturally calming. 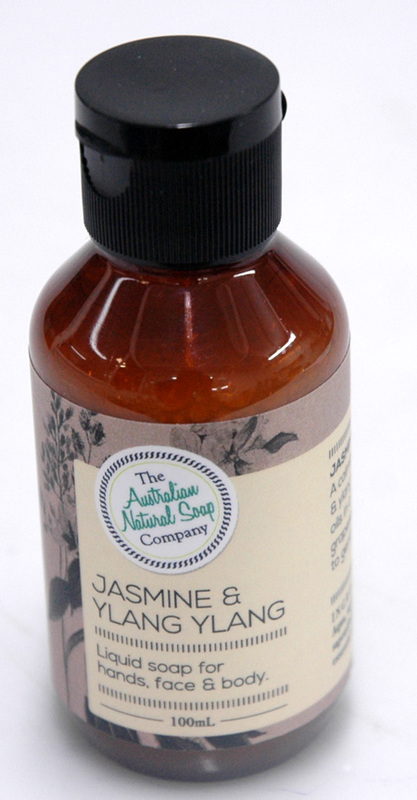 Using the pure essential oils of jasmine & ylang ylang, it has none of the nasty chemicals found in most body gels. Used instead, are Australian olive oil & grapeseed oils, which which are left to set for 8 weeks so that the soap retains the properties of the oils & doesn’t dry the skin. Ingredients: Aqua, Saponified olive oil, saponified grapeseed oil, pure essential oils (jasmine & ylang ylang).